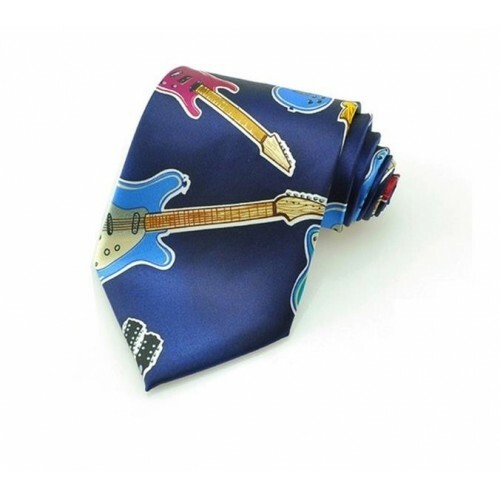 Tie with various models of electric guitar. The ties are in various colors and respect the models to which they refer. 100% polyester. Hand made. Herun brand on the back.